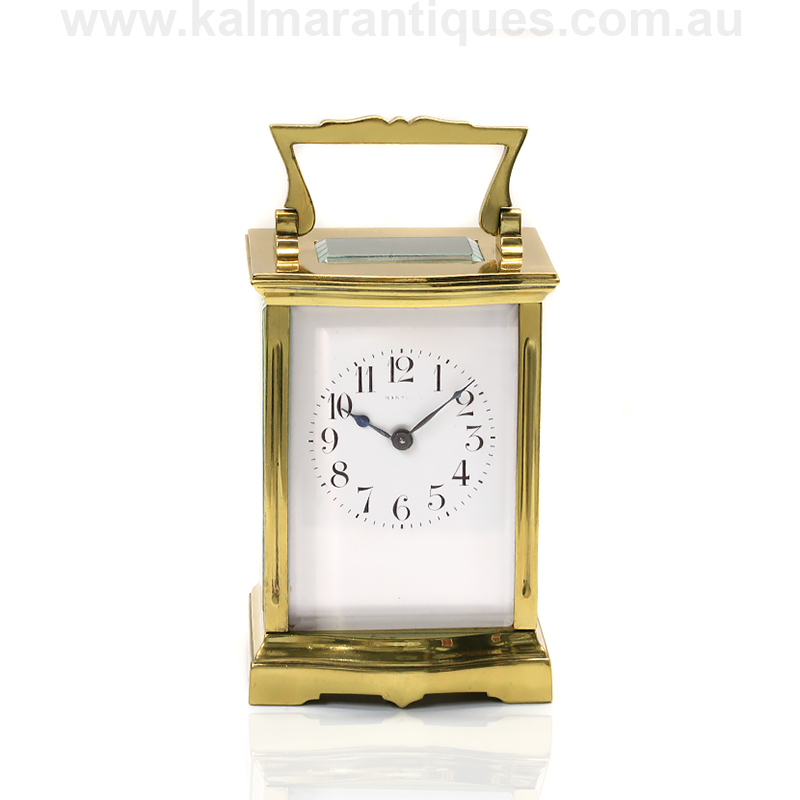 Product code: W1008 Categories: Antique, Antique Clocks. 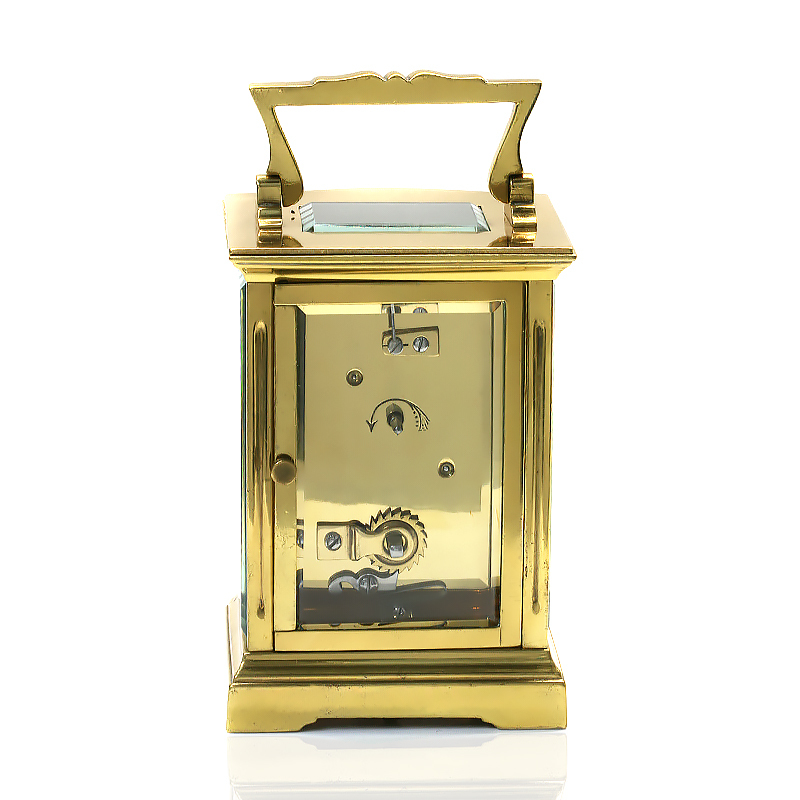 Carriage clocks not only of course tell the time, but are also so aesthetically pleasing to admire with their glass panel sides, such as can be seen here in this antique carriage clock made in France in the 1890’s. 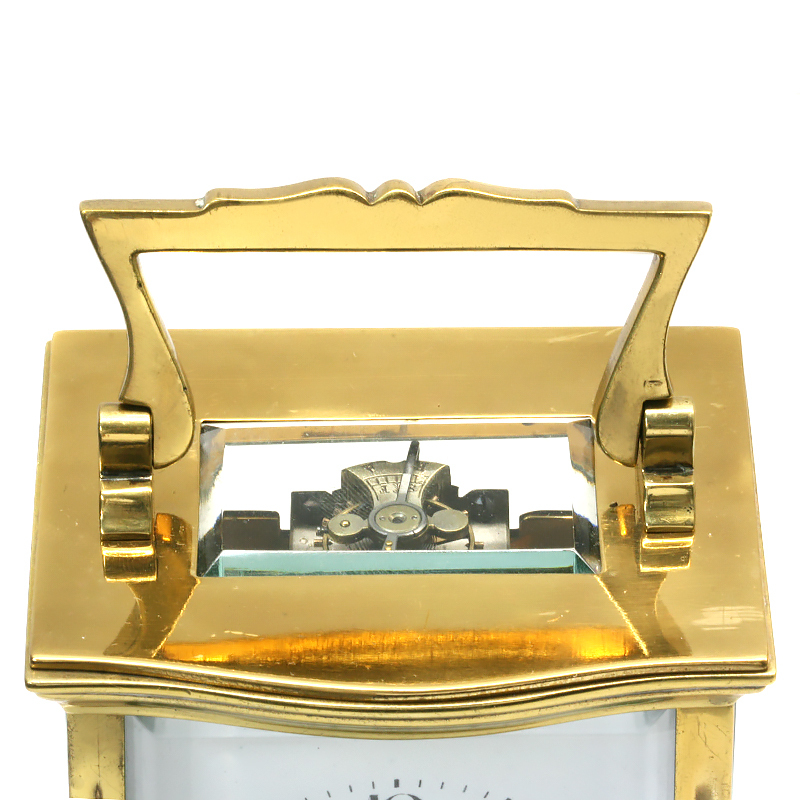 Measuring 11cm tall (14.5cm with the handle up) by 8cm wide by 6.5cm deep, this carriage clock would look elegant on any mantle shelf, desk or bedside table. Not only has the movement been completely restored and comes with our twelve month warranty, but the case has also been completely restored, polished and lacquered to retain its lovely high polish for many years to come. 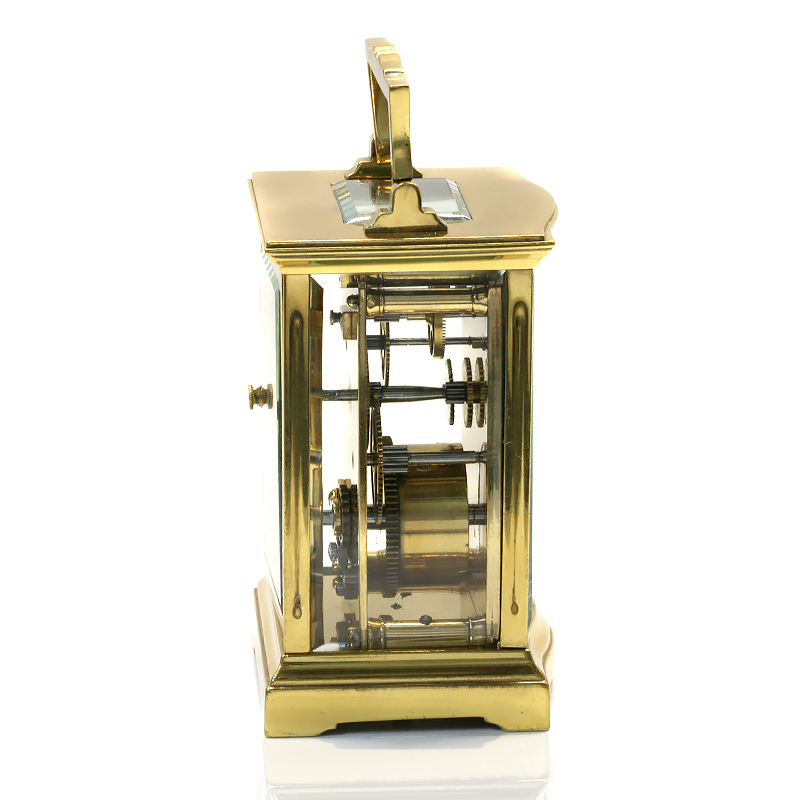 With the white dial being all original and having numerals instead of Roman numerals, this is a very elegant and handsome antique carriage clock that is in wonderful condition.